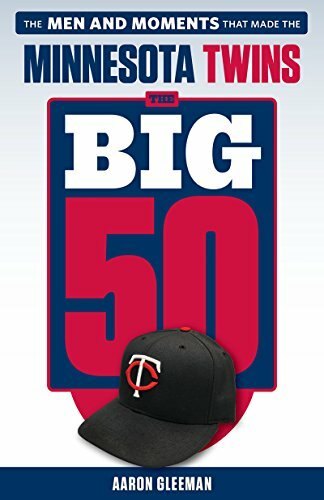 • Jim Thome ruined the Twins' plans to have him reach 600 career home runs at Target Field by being too damn good, hitting his 599th and 600th homers Monday night in Detroit and then delivering No. 601 against the Tigers two nights later. Thome has been deserving of the Hall of Fame for years already, but hopefully becoming the eighth member of the 600-homer club will ensure his place in Cooperstown. With the way he's hitting, though, that can probably wait. I'd love to see Thome take a run at that list in 2012 for the Twins and even in a part-time role he'd move past Sammy Sosa for seventh place on the homer list. My favorite stat: Babe Ruth and Barry Bonds are the only hitters with more homers and more walks than Thome. • Two weeks ago Denard Span came off the disabled list despite admitting that he wasn't fully recovered from a June 3 concussion, saying that he felt it was time to simply play through the symptoms after spending two months on the sidelines. He struggled on a rehab assignment at Triple-A and that continued with the Twins, as Span went 2-for-35 (.057) with three times as many strikeouts as walks before being shut down again with migraines and dizziness. According to trainer Rick McWane "this is something very similar" to his 2009 bout with vertigo and "the concussion stirred up a previous existing condition." Various medications failed and left Span with side effects, making it likely that he'll miss the remainder of the season. Worse, much like Justin Morneau coming into this season, Span may enter 2012 as a major question mark. Unfortunately for Span and Morneau being tough won't help you get over a brain injury. • Luke Hughes was recalled from Rochester to take Span's roster spot and the short-handed Twins would've started him last night versus left-hander CC Sabathia and the Yankees, except Hughes missed his flight to Minneapolis because he was at the wrong gate. Seriously. Michael Cuddyer and Matt Tolbert were on the active roster but injured and Jason Kubel wasn't with the team due to a personal matter, which forced Ron Gardenhire to get creative. Gardenhire had exactly nine healthy players at his disposal, including a 40-year-old designated hitter and a pair of catchers, so he wrote out a lineup that included Joe Mauer in the outfield for the first time since high school. Mauer will surely never get the same type of endless praise that the local media gives Cuddyer for his willingness to play other positions, but he's looked good at first base since returning from the disabled list and was decent in right field too. • It turns out the "later" in player to be named later was around 48 hours, as the Tigers sent 23-year-old right-hander Lester Oliveros to the Twins to complete the Delmon Young trade. At the time of the deal a source told me the PTBNL would be "nobody special" and Oliveros fits the description, but he's not without promise. His fastball averaged 94.5 miles per hour in nine games for the Tigers and he's got 93 strikeouts in 72 innings between Double-A and Triple-A. Oliveros' mid-90s velocity and outstanding strikeout rate also comes with poor control, as he's walked 43 batters in those 72 frames. Tons of strikeouts, tons of walks, and a big-time fastball make Oliveros appear similar to a younger version of Jim Hoey, which is intended as a positive thing despite the actual Hoey flopping with the Twins earlier this year. Oliveros may eventually do the same, but he also has a chance to be a quality reliever as soon as next season. • It went down to the wire, but the Twins got first-round pick Levi Michael and supplemental first-round picks Hudson Boyd and Travis Harrison signed before Monday's deadline. Michael received $1.175 million, which is right about the MLB-recommend "slot" bonus for a 30th pick, but Boyd and Harrison each signed for around $1 million when the slot amounts for their picks were $700,000 and $650,000. As always, it's good to see the Twins spending on the draft. • Kevin Mulvey, who the Twins acquired from the Mets as part of the Johan Santana deal and then traded to the Diamondbacks for Jon Rauch in mid-2009, was designated for assignment by Arizona. He's allowed 24 runs in 27 innings as a major leaguer and the 26-year-old former second-round pick has posted increasingly poor results at Triple-A, including a 6.98 ERA and 44-to-37 strikeout-to-walk ratio in 80 innings there this year. • Gardenhire was asked about the 2012 middle infield during a recent interview on 1500-ESPN and specifically mentioned Brian Dozier, a 2008 eighth-round pick who began this season as a 24-year-old at high Single-A and is now playing at Double-A. Dozier is having a very nice year, hitting .317/.397/.465 with nearly as many walks (46) as strikeouts (55) in 108 games, but has just four homers and batted just .275/.350/.349 between two levels of Single-A last season. • No decision has been made yet on Kyle Gibson's possible Tommy John surgery, as the 2009 first-round pick has decided to get a second opinion next week from the doctor who performed Joe Nathan's elbow surgery in March of 2010. • Ben Revere has made too many outs atop the lineup, but at least some are exciting outs. • Last night's game against the Yankees wasn't much fun, but this MLB.com headline made me laugh: "Long balls trip up Duensing." In related news, I'm a 28-year-old child. 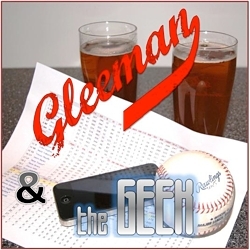 • Thanks to everyone who listened to the first episode of my "Gleeman and The Geek" podcast with John Bonnes. We weren't sure what to expect, but the download count and the feedback have been extremely encouraging and our plan is to record one new episode a week. You can now subscribe to the podcast on iTunes or download it via the website, so please help spread the word. And if anyone with some design skills has an idea for a good logo, let me know. I would love to say I am very mature, but that headline is LOL funny. Think there’s any chance Randy Bush sticks as the Cubs’ GM? I just wanted to comment that I think it is odd how few comments this blog post has….